Judy joined the Fresh Start Board in 2013 and serves as Chair, Annual Campaign. 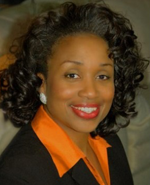 She is Assistant Vice President/Human Resources Business Partner at M&T Bank and in this capacity provides leadership for talent management, diversity, restructuring, consolidation, outsourcing and other human capital initiatives. She previously worked as Assistant Director for the United Way and prior to that was a Senior Officer with Wilmington Trust Company. Judy holds a BS in Computer Systems Management and Marketing from Drexel University.